The void has been filled, thus turning the city’s wound into a collective moment of awareness and commitment. After being stolen in the Monti district in December, the stolpersteine to remember the Di Castro and Di Consiglio families, slaughtered by the Nazi-Fascist troops, have gone back to their place. New brass plates now replace the ones stolen during the last few weeks. German artist Gunter Demnig affixed the plates himself. He invented this art form for the remembrance of the holocaust many years ago, and he is now travelling throughout Europe with a mission. He was convened in Rome for the tenth time by the Italian association Arte in Memoria, headed by Adachiara Zevi. The association has placed more than 300 stones in the middle of town up until now. “The people who stole those stones stole a piece of our memory, a memory that builds up the present and directs to the future. 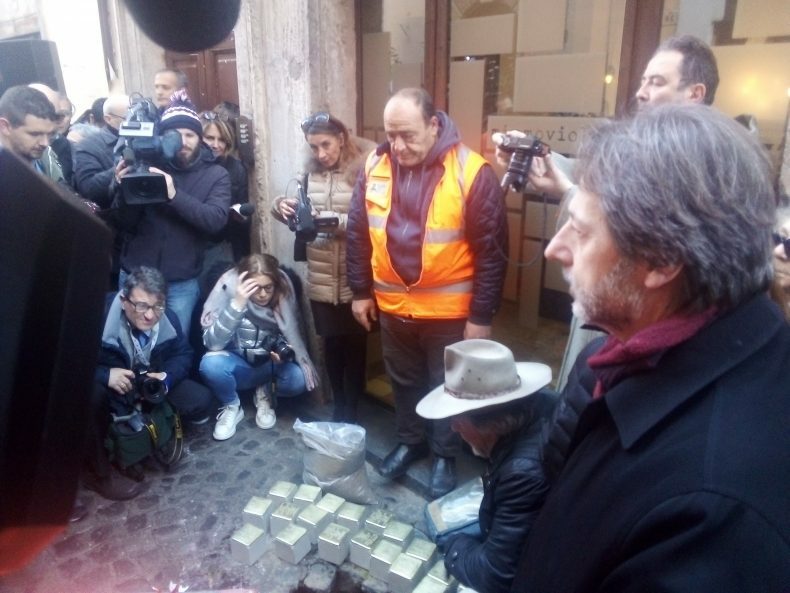 These stones mark the path, they mark the road” stated the mayor of Rome, Virginia Raggi. 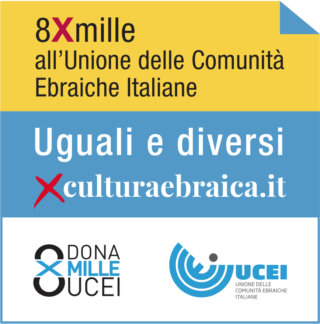 According to Sabrina Alfonsi the large number of people participating in the activity “represents an example of the community we must and want to be.” The president of the Rome Jewish community, Ruth Dureghello, stressed a particularly positive aspect. On the same wavelength, Zevi claimed: “It is important for all the people to react, not only Jews, as is often the case.” The president also made an appeal to the institutions so that they monitor the slopersteine’s sake more efficiently. *Translated by Simone Simonazzi and revised by Rachele Ferin, students at the Advanced School for Interpreters and Translators of Trieste University, intern at the newspaper office of the Union of the Italian Jewish Communities.